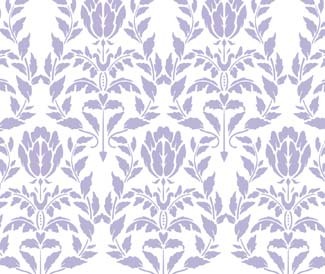 This stencil is a great design as a central frieze but what’s cool is that it’s styling lends itself to repeating in to a damask pattern on walls, fabric, drapes, etc. 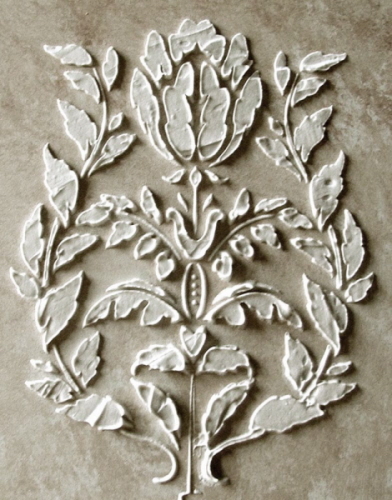 I am thinking of using this plaster stencil design on the sides of the island in our kitchen even though it was designed to be used as a damask stencil. 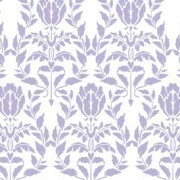 It’s fun and quite stylish to coordinate an entire room around one or two stencil designs. Stencil walls with one color, then choose a coordinating color using the same, or a complimentary stencil design for pillows or area rugs. Watch the room come to life in a new way!